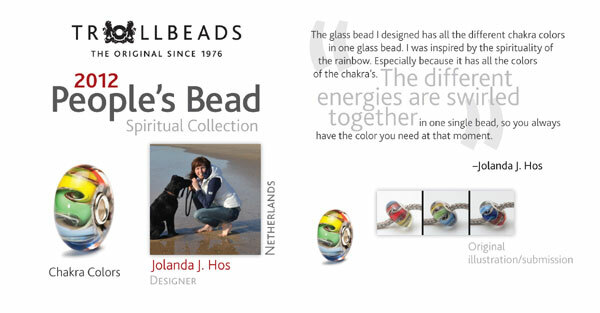 This glass bead combines the 7 chakra colors in one bead. The different energies are swirled together, so you always have the color and energy you need. Each one of these beads is different. They all have the 7 colors but the separations are all slightly different. I ordered two of these, and absolutely love them! 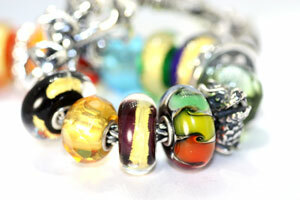 The colors are very vibrant, and I am already tinkering with the possibilities on my bracelet! They really do look great with a wide variety of bead types and colors. This is a good bead to own because with all the colors in it you will always find a home for it on one of your bracelets. This is such a versatile bead, and I have many ideas of things to do with it. I've used it against the black onyx beads, and it really pops. So much interest with the beautiful swirls and colors. Click the button below to add the Chakra Colors to your wish list.